Are Roxanne Tong and Joey Law Back Together? In March 2018, Roxanne Tong (湯洛雯) and Joey Law (羅天宇) announced their breakup after a four-year relationship. 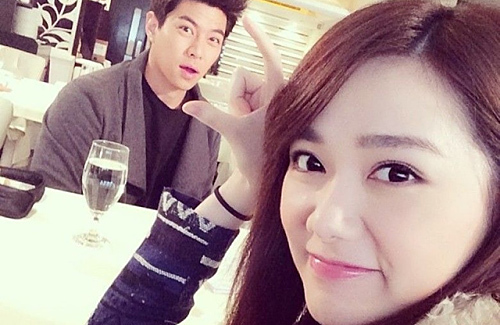 The couple met while filming the sitcom, Come Home Love <愛．回家>, and began dating soon after. To prevent affecting their careers, they initially kept their relationship under wraps. During Joey’s 30th birthday in October 2017, they decided to publicly acknowledge their relationship. Regrettably, soon after going public with their relationship, Roxanne and Joey admitted that they had broken up. It has been a year since the couple called it quits. However, they remain relatively good friends, much to the surprise of netizens. Their friendship is so comfortable that the ex-couple agreed to go on a trip together and film an episode of the travel show, Fun Abroad <3日2夜>. Roxanne and Joey will be spending three days and two nights together in Norway. Could it be that the couple have rekindled their romance and are simply keeping it under wraps? Or, perhaps this trip will spark a second chance for their love. When reporters questioned what their current relationship status is, Roxanne responded, “Obviously, we are good friends. If he and I have anything more between us, we wouldn’t have agreed to go on this trip.” Joey added, rather awkwardly, “Is that the case? Perhaps we would have to keep [our relationship] a secret.” In a previous interview, Joey had been asked about the likelihood of he and Roxanne getting back together, to which he responded cryptically, “I can’t be too assertive about it.” Perhaps there is still a glint of hope of this couple reuniting after all!